Disclaimer: We cannot guarantee that the Specs/Price of Orient 2 Ton Split AC OS-24MP16 PG Pattern Series on this page is 100% correct (Human error is possible). For correct Specs/Price always visit nearest local shop. 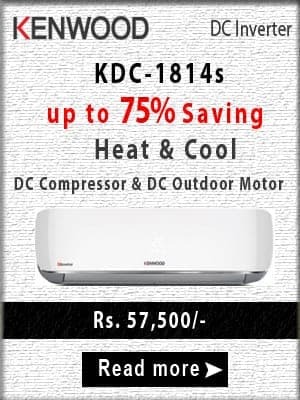 This OS-24MP16 price is valid in all cities of Pakistan including Karachi, Lahore, Islamabad, Faisalabad, Multan, Rawalpindi, Hyderabad, Gujranwala, Bahawalpur, Peshawar, Sargodha, Sialkot, Quetta.